Kubernetes provides documentation on setting up Elasticsearch as a logging target, however its not particularly easy to follow or run the examples. This repository is purpose built to set up the Elasticsearch Fluentd Kibana (EFK) stack on Kubernetes clusters built by Pivotal Container Service (PKS) or its open source equivalent Cloud Foundry Container Runtime (CFCR) replacing the default configs from the Kubernetes documentation with settings that match the Bosh installed environment. You can find the Kubernetes manifests at the following github repo https://github.com/paulczar/cfcr-efk. The Elasticsearch Operator manages ES clusters on Kubernetes. Next forward a port with kubectl to access kibana. You could expose it with a service or ingress, but then you'd want to secure it first which is outside the scope here. 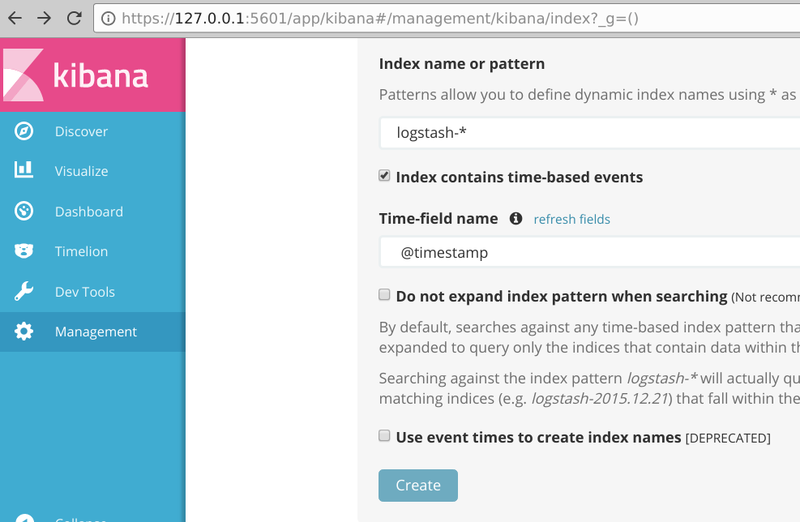 Open https://127.0.0.1:5601 from your browser and it should go to a setup page where you have to select your pattern logstash-* and time field name @timestamp and click create. From there you can hit the Discover window and see any logs that have already been collected which should include any running Pods as well as logs from kubelet, kube-proxy, etc.